Ahsoka!!. I thought this was cute!. HD Wallpaper and background images in the étoile, star Wars: Clone Wars club tagged: star wars clone wars ahsoka. This étoile, star Wars: Clone Wars fan art might contain lunettes de soleil, lunettes noires, des nuances, nuances, and lunettes. Oh this is the best pic iv ever seen of her! 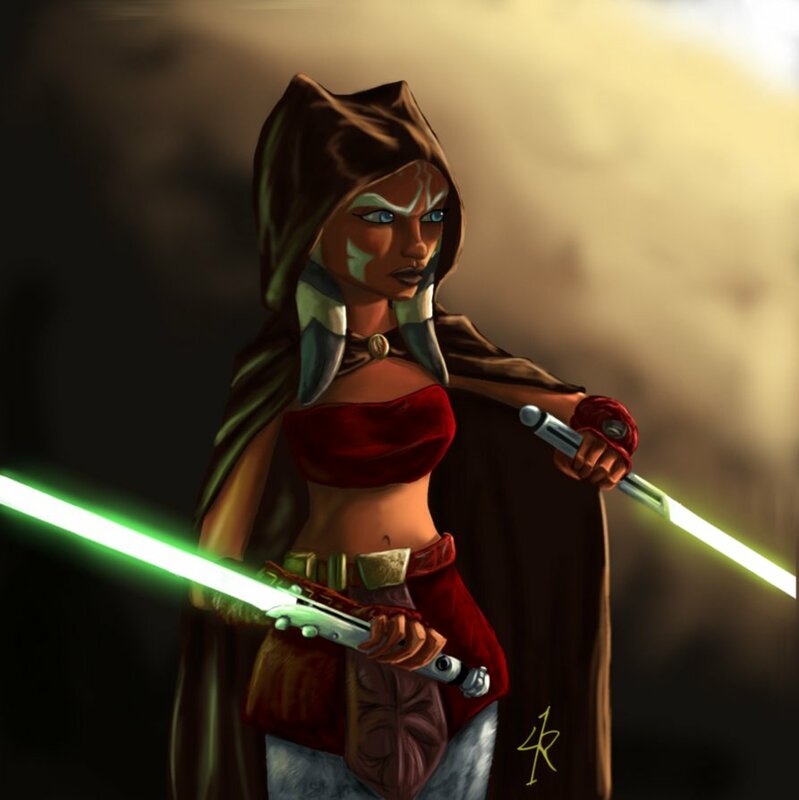 This is a very lifelike painting of Ahsoka.